When you're attending anything that Chicago has to offer, one of the only things that can spoil your fun is dealing with traffic and parking. When traveling with us, you don't have to worry about any of that. You can enjoy such popular events as Taste of Chicago, the Chicago Auto Show, the 57th Street Art Fair, or the International Festival without ever having to search for a parking spot or pay those exorbitant parking fees! You might even enjoy getting stuck in traffic with us since you'll have a built-in bar with granite counter tops and coolers of ice, high definition flat screens, and a premium audio system with subwoofers to enjoy as you blast your favorite tunes. The ride there and back can be as enjoyable as the event itself and you will have a hard time leaving. If you're a Chicagoan you might know it more colloquially as The Mag Mile, but whether you're local or traveling from a distant state, you'll certainly enjoy riding up and down this area of Michigan Avenue that stretches from the Chicago River to the Near North Side. 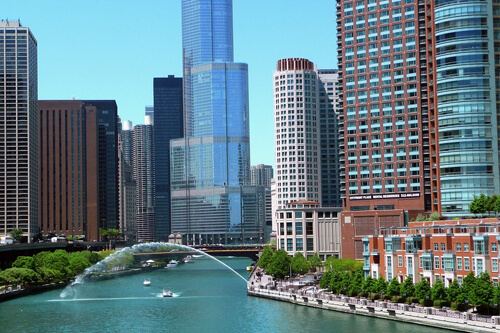 You'll love seeing the sights and visiting such historic buildings as the Wrigley Building, the John Hancock Tower, the Old Chicago Water Tower District, the Tribune Tower, and the Allerton Hotel. See the tulips bloom in April and May, enjoy the gardens, and the beautifully lit trees during the holiday season. Shop the many malls including 900 North Michigan, Water Tower Place, Chicago Place, and the Shops at North Bridge. There is so much to see and do when you're travelling with us. Chicago's bar scene covers all the bases, from dive bars to swanky lounges to sports bars. But what we really love in this magnificent city are the multitude of rooftop bars! A great night out involving drinking paired with a beautiful view of Chicago from any angle, a Chicago rooftop bar is unlike any other. 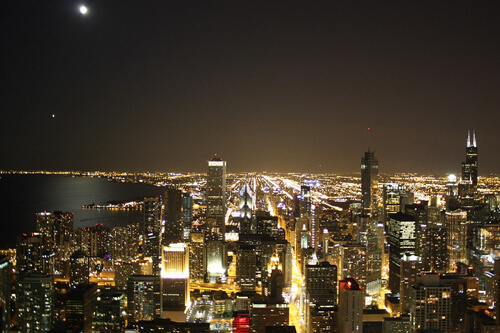 If you're planning a night out bar hopping around Chicago and want a great experience, check out our Chicago Rooftop Bar Guide for ideas on where to go! EXCITING CLUBS & PRIVATE EVENTS. You're not just limited to the major events that Chicago has to offer. You can also plan the most exciting private events in the world, whether they're in your own backyard or somewhere more distant within the surrounding counties (see our service area page to find out the places we can take you to). Whether you're celebrating a birthday or a bachelor party, a wedding or an anniversary, a sweet sixteen party or a prom, we are the company that can get you there fast, safe, and with style. If there's no special occasion but you just want to party, may we suggest an evening of club hopping or pub crawling? That's one of the most popular reasons to rent a limousine, and it's about time that you find out why. A wedding is an extremely momentous occasion in most people's lives, and most of the time, you only get it once. That's why people like to pull all the stops when it comes to the wedding reception. It's also the best and most popular occasion to rent a limo. 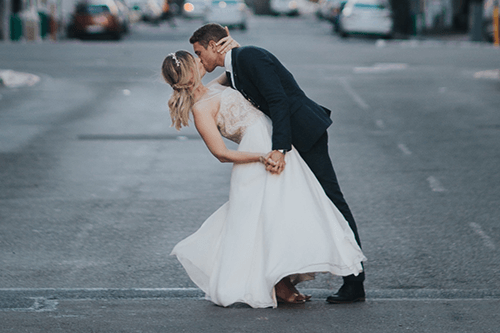 When you rent one of our very special vehicles, you get peace of mind in knowing that the transportation for your wedding is going to go completely smoothly. We know that this is a really big and important day, so we guarantee that transportation is not something you will have to worry about. As soon as you get in our limo, you will be treated with comfort and luxury, you and all the guests you bring with you. Feel free to toast the party with a bottle of champagne right in the comfort of the vehicle. 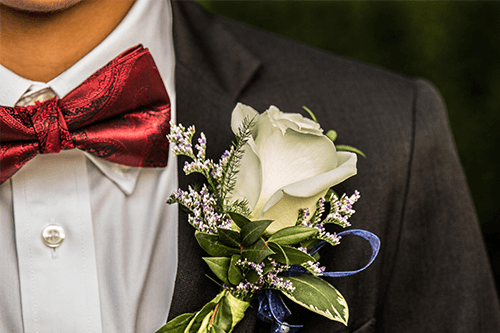 Proms, as well as homecomings and other school dances, are once in a lifetime occasions for your son or daughter, so you want to make sure that the entire night is made to be fun, and full of joy. So, when they go out to nice classy dinners, put on beautiful dresses and tuxedos, you will want to rent a limo for the occasion as well. We will provide you with some of the best and most luxurious limos in the city. Not to mention our service is as safe as you can get. Many of our bus drivers are school bus drivers during the day, so they know quite well how to handle large groups of children. We make sure that the buses are inspected before and after every trip, so that they are always in tiptop shape so that your loved ones remain safe. The comfort and luxury our limos provide will make it obvious who got the best limo in the school, and the young men and woman will have the time of there life. Chicago is home to some of the hottest venues in the music world, and all of the hottest names in music come here to perform. Huge concerts like this may cause quite a bit of traffic on your way to and from the stadium or concert hall. 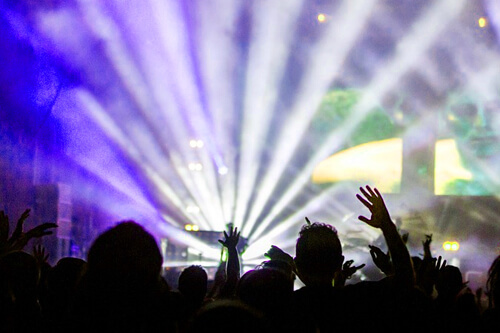 When you rent a limousine from us to take you to the venue, your concert starts early. As soon as you get in, you can start blasting the artists hottest hits on our state of the art sound systems, and enjoy pregaming in the limos built in bar and cooler. And you don't have to worry about all that traffic. You will enjoy your entire ride there. Once you get there, all you have to do is get out and go straight to the show, let us take care of the parking. Then, after the concert, you can retire back into a limo and rest in its comfort and luxury without having to worry about anything else. A limo from us is the perfect way to get to any concert or venue, big or small, all over the metro Chicago area. Our limos, as well as our fleet of limo buses, are the perfect companion for a night of celebrating the last moments of single life. Whether you're spending the entire night at one location, or hopping from club to club, there is no better way to do it then with us. We can be your designated driver for the night, you and all your friends can enjoy yourselves, and the bus or limo. Or vehicles come standard equipped with all the best stuff for your party including stripper poles, built in bars and coolers, killer sound systems, and even a dance floor. With all these features on a bus that you will call your own for the night, it may even be the hottest location you visit. We're a city that's extremely proud of our sports teams, as all of them have been the best at one time or another. So naturally, when they play, people go wild and flock to the stadiums to watch them. This can cause lots of traffic. Let that traffic be everyone else's problem. When you rent a limo from us, you get to enjoy the traffic, and be given an opportunity to pregame. Our buses come equipped with multiple TVs, and an epic sound system so that you can really get in the spirit of the game, all while you drink beers from the built in bars. It's an awesome opportunity to insure that every part of your trip is fun an exciting. We will also take care of that pesky parking, you just enjoy the game. 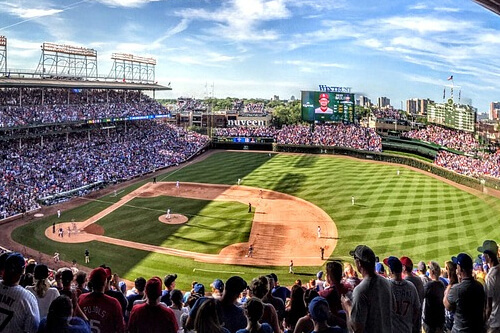 Whether its the Cubs, White Sox, Bears, Bulls, or the Blackhawks, we have got you covered. If you are going to have a big bash for your birthday, you want to be exactly where you are, in the Chicago area. There is so much to see and do it is going to be hard to narrow down your choices of entertainment. But that is certainly better than the alternative. 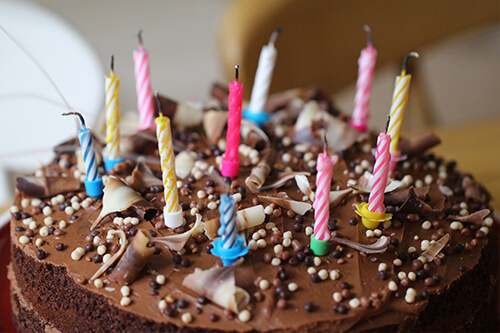 Whatever you end up choosing, your birthday celebration is going to be amazingly special. 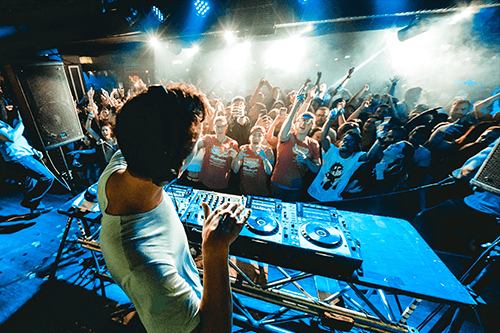 The opportunities run the gamut from low keyed celebration opportunities to a more wild and crazy evening, it all just depends on your personality. Even if you do not celebrate very often, why not break free this year and have a blast with some friends and family. But while you are making your plans, we have one major recommendation for you. 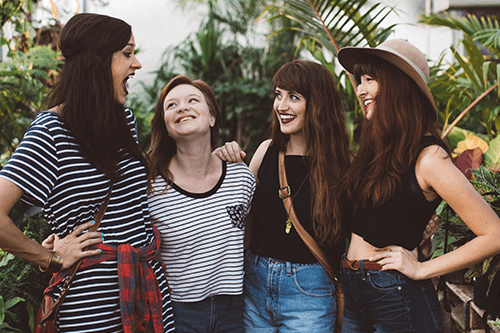 Let us take you and your group to your birthday venues and you can celebrate all night long. We know that you can't believe it but your daughter is coming up on her 16th birthday. We know you have taken a double take on the calendar numerous times just to make sure this is the case. But once you have come to terms with the fact that this is true, your attention must turn to how you are going to help her mark this very special date. Many people have Sweet 16 parties but this one has to be unique in some way. The party has to involve massive amounts of fun of course but also provide for the safety of all that attend. With that being said, it is time to start making a list of all of the variables and then start researching the possibilities. We definitely recommend getting ideas from the birthday girl because you want to be sure and bring a smile to her face for sure. And one idea you should contribute is a professional luxury transportation solution for the big bash. It is graduation time and that is a major cause for celebration. It seems like it was just yesterday that you were a freshman. 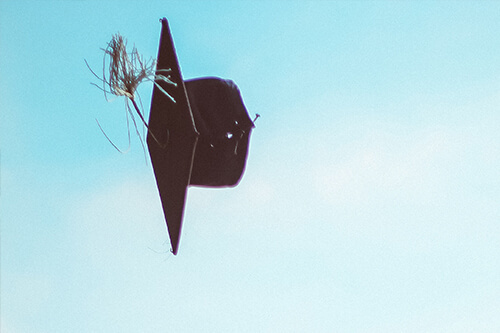 There were times, no doubt, when you thought you would never make it through to graduation. But here you are. You are excited about heading across that stage to be handed your diploma but you also have so many great memories and have made so many amazing friendships while at college. Now, everyone will be going their own way. And it would be an amazing thing if everyone could get together for one last night of fun and entertainment. A proper goodbye will make everyone feel better. And the Chicago area has some amazing venues that will provide the perfect backdrop and riding to each in one of our phenomenal vehicles is the way to go. Everyone knows that Chicago is the center of much enterprise and many companies have their headquarters there. Well, whether you are part of a company that is in the area or within a reasonable distance, Chicago can be the perfect place to get your team together and hold some team building activities. Or perhaps you are looking to hold a company function or possibly a thank you dinner for those who have help build your company to the place it is today. 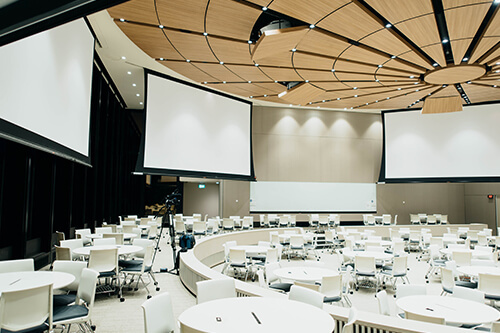 Whatever the corporate function may be, you are in the right area and we have just the service to accommodate your group in a way that you probably never dreamed. You don't want such an event with the services of one of our amazing limo buses. When you are ready to speak to us about your upcoming trip, you can reach one of our friendly and courteous customer service agents any time at the contact info at the top of the site. Are you ready to have the time of your life? We're ready to give that to you and more. Give us a call tonight.